The 7900 Range is The “ Big” Sister of the 7400 and again is customised in modular fashion. 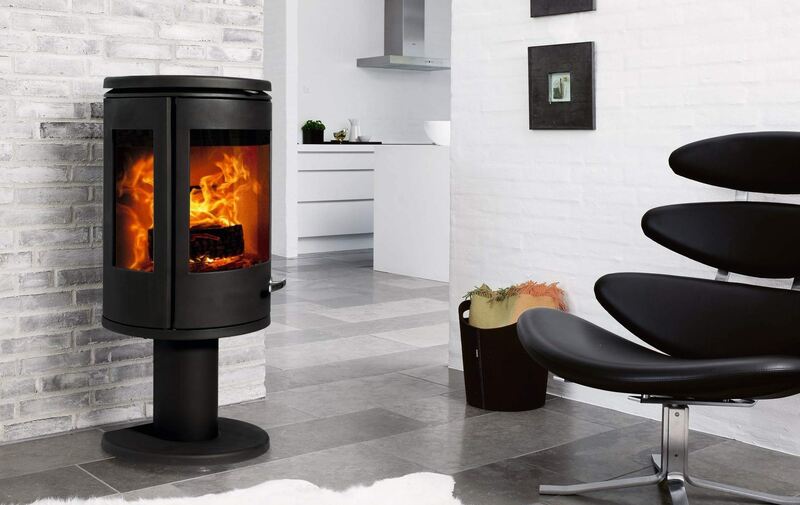 These stoves designed by the famous Danish designer Monica Ritterband give, an amazing panoramic flame picture with a large curved front pane and side viewing windows. What it gives in style it also achieves in performance with a 7.3kW output and meeting the Defra approved standards this clean burning stove has all that you would expect from a Morso convection stove with tertiary air, and air wash keeping a clean clear front window for both viewing and heat. Optional outside air kit available.